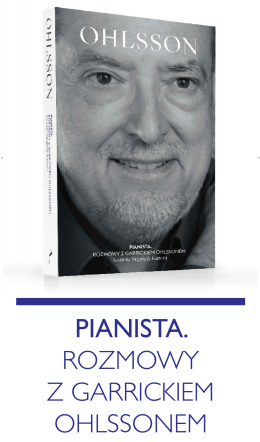 The publisher presents fragments of two concerts recorded during the 14th International Festival Chopin and His Europe. 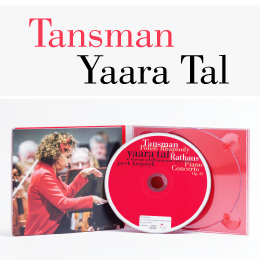 The album makes it possible to relieve the emotions connected with the performances of orchestral Interlude Salve Polonia from the oratory Saint Stanislaus by Ferenc Liszt as well as Zygmunt Noskowski’s work “From the Life of a Nation”: Symphonic Variations on Chopin’s Prelude in A major. Both names sound especially symbolically in the context of Polish music – Liszt inspired by the visit on the Wawel Castle decided to work on the musical setting of the story about Saint Stanislaus’ martyrdom. Noskowski, known mainly for the tone poem The Steppe, belongs to the group of unjustly forgotten composers. Although he was raised up without the knowledge of Chopin’s music, over the years he had an input into the development of Chopin’s cult himself. 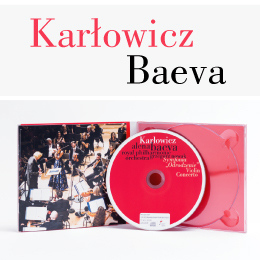 The perfect sound of the Sinfonia Varsovia orchestra under the direction of the maestro Jacek Kaspszyk and Grzegorz Nowak presents the variety of the compositions in the album – compositions which are the Concerts frozen in time.